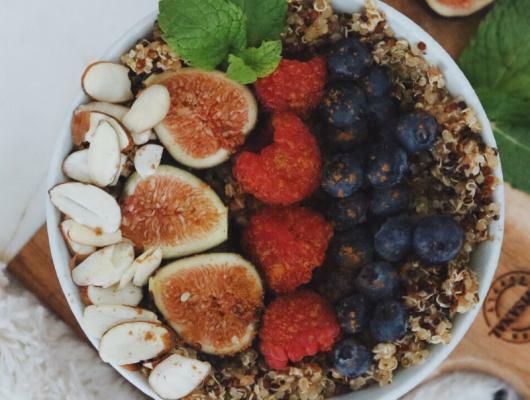 Combine all ingredients in bowl except mint, berries, and nut milk. Pour nut milk over ingredients, garnish with mint and berries. Enjoy! 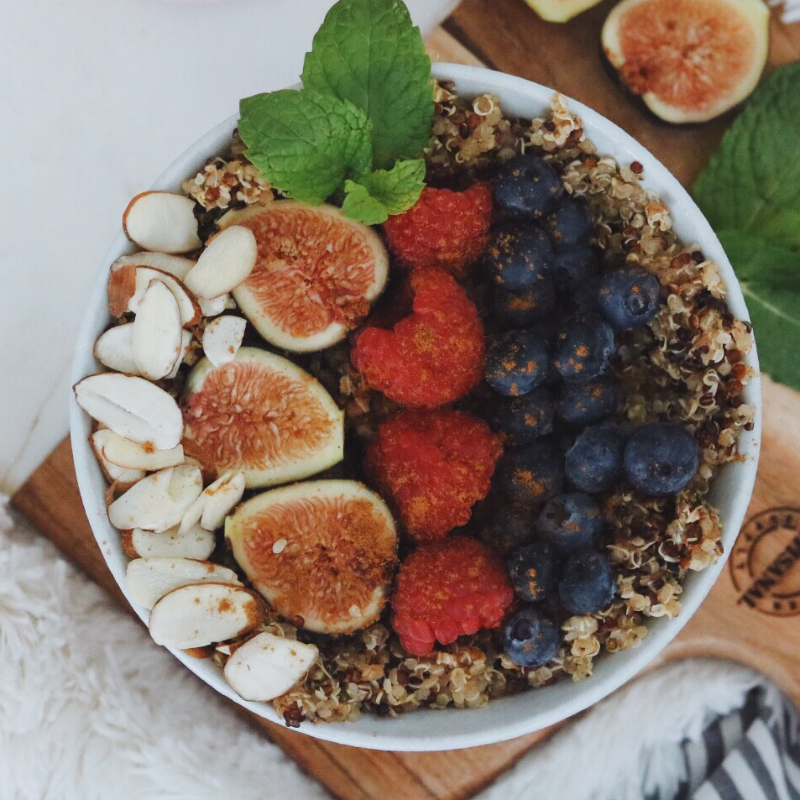 This quinoa buddha breakfast bowl turns savory to sweet, with the addition of berries, banana, maple syrup, mint, and warming notes of cinnamon and vanilla.